Dimples are creases or dents in the cheeks. It is caused by a small defect of the muscles. This defect causes the skin on the cheeks to shrink when moving and this create a dent on the outside. This lovely charm is usually genetic. However, many people who are born without natural dimples can still create dimples in a variety of ways. If you are also one of them, this article is for you. Below, we introduce you tips to help you do that. However, first of all, let’s look at the basics of dimples for the most general view of it. The dimple is a natural crease or dent on the skin surface of the human body, mostly on the cheek or chin. Dimples on the cheek appear when the face expresses emotions. The dimples on the chin are a small line on the chin and can be seen even without a facial expression. The dimples in cheek are quite complicated. They are like marks created when you try to press a pen on the skin for a minute. Let’s look at Miranda Kerr, you can see the dimples on her cheek every time she smiles. The chin dimples are caused by a crack in the chin. This is the result of a proliferation of fetal development. When the left and right sides of the chin do not fuse together in the uterus, you will have dimples on your chin. These dimples can appear and disappear for a certain period of time. It is suggested that dimples are the result of genetic and are dominant trait. The University of Utah, USA, concludes that these dimples are an “abnormal” dominant trait, primarily controlled by a certain gene that is influenced by many other genes. Perhaps all of us can agree that dimples make you even more adorable. The dimples seem to attach to the beauty of women – a sweet, very naive and youthful beauty. Many celebrities are fortunate to have such distinctive features, such as Ariana Grande, Jennifer Garner and Miranda Kerr. That is why many people, because they are not born with dimples, find many ways to get them. If you always want to own dimples, you might wonder why some people have them, while others do not. Interestingly, the explanation behind this is surprising. In fact, there are two types of dimples: dimples on the cheeks and dimples on the chin. They are the result of different causes. Experts explain that chin dimples are created by an underlying cleft in the bone of the chin. Nowadays, experts have suggested that the dimples in the cheeks are the result of a hiccup in the development of the fetus. As the left and right sides of the chin do not fuse in the uterus, the chin dimples are formed. But it is interesting that dimples on the cheek were not created by a hiccup. That may be due to inheritance from your ancestors. Essentially, experts agree that dimples are inherited, but there is not yet a detailed document or study that explains this. So far, dimples have always been considered as the result of a genetic inheritance, a “dominant” genetic trait. This means that if both your parents have dimples, you will also have some dimples of your own. However, the problem has become somewhat confusing since a number of scientists recently conducted a number of surveys and found that not all cases of people with dimples were due to both their parents have them . In addition, there are two different theories about the cause of dimples on the face. The first theory is that they are parts of shorter muscles around the mouth. The second theory is that they are the defects of the face muscle called “the zygomaticus major”. It is a fairly large muscle on one or both sides of the face (they are thought to be a division in the muscle), which is normally all in one piece. This makes your face appear the dent every time you smile. That is the dimple. This second theory is supported by more people . There are a few types of dimples and their effects on your beauty are different. Dimples on one cheek: Having a dimple on one side of your cheeks makes your own look much more charismatic and beautiful. 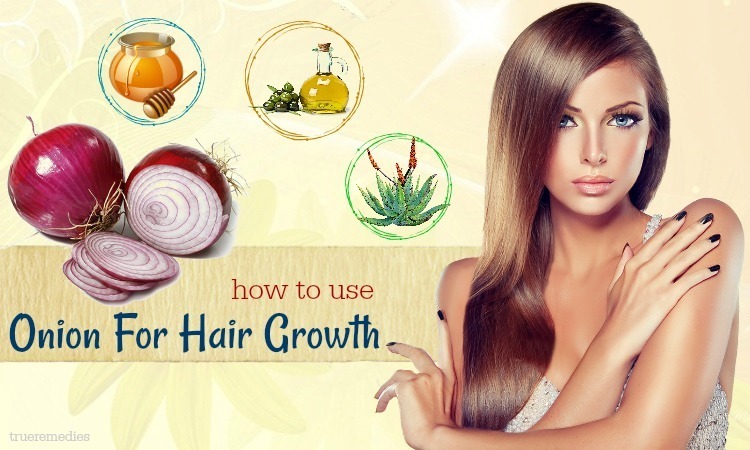 It can make you look younger than your real age, in addition to adding a tinge of cuteness. Dimple on the back: This type of dimples is lesser known, but it is one of the sexiest aspects of a human body. Of course, other people will not know it until you show it off. It enhances your figure (if you have) and is loved by both genders. Dimples on both cheeks: It is rare to spot people with dimples on both cheeks. People with this dimple often have magical unforgettable smile and accentuated features. Both genders love it and it really makes the person look attractive. Chin dimples: Dimples on chin are popular all over the world. It looks awesome and cute on those with a long face cut. Some people think that having dimples on chin means getting old, but it is actually not related to age. As we said above, not everyone has dimples. Today, thanks to the advancement of science and technology, you can completely own dimples by using plastic surgery. So if you want, you can see a doctor for a direct consultation on this. Dimple creation surgery, also called as dimpleplasty, is a simple and short surgery completed on both sides within just 30 minutes. The result is rather satisfactory to the customer because the dimples show up naturally and semi-permanently. 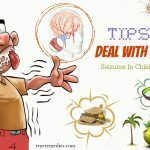 This is a simple technique that does not cause any complications to the body, so you can be assured of its safety . The recovery time is short. Customer could start consuming soft foods a few hours after the surgery. They might join in normal activities the following day and return to work about 1-2 days after the surgery. However, it is important to commit a post-procedure care to warrant proper and fast recovery. Sometimes, the dimples do not appear as expectations and the doctor could reverse or adjust with just a short fix. The surgery often costs up to $2500 and the results usually last for 1-2 months or more depending on the specific body condition. After that, the face will come back to normal shape and sometimes it may get worse with the risk of deformity. Here are some interesting facts about dimples. Hopefully this information can help you to have a new view on them. Now, perhaps many of you may have thought of getting dimples. If so, this article is for you. 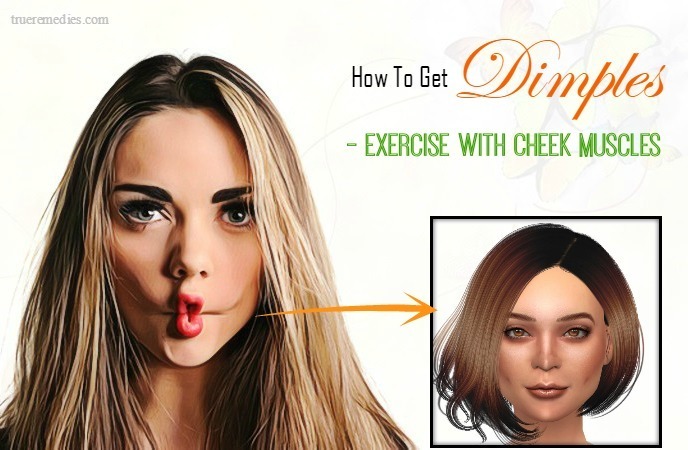 It instructs you how to get dimples naturally and fast without surgery. Below, we introduce you to such tips. Take a look at TrueRemedies.com! This is the first home remedy in this list of tips on how to get dimples fast. To start with your cheek muscles, make a face like you are eating lemon or something very sour. Then, press your lips and move them forward. The teeth are not clenched, but the lips must be tightened together. Try to eat something sour if you do not visualize such facial expressions – the natural response to sour taste is the expression that this exercise is simulating. In order to reach the standard dimples, the cheeks need to be concave naturally, the deepest part of the dimple is located between the upper and lower teeth, between the front and the back of the mouth. Note that this is a folk tip. In other words, this approach is not supported by scientific evidence but is based on vague and unverified experience. 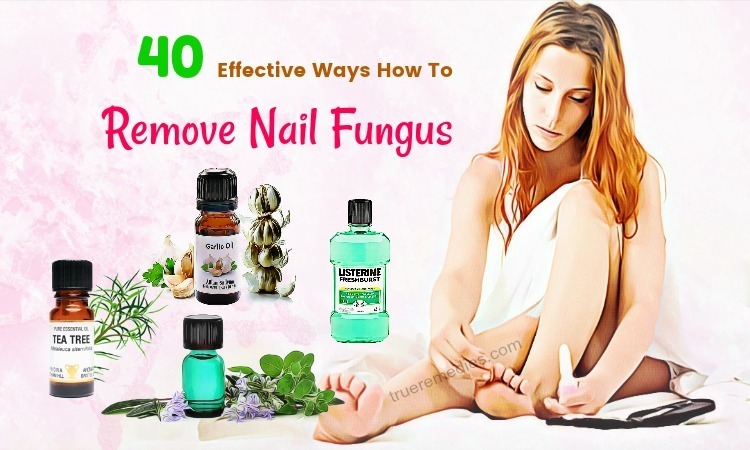 Therefore, this tip is not guaranteed to be effective or it can have temporary effects if you regularly apply it. This is another must-try treatment in this list of tips on how to get dimples fast. This is also a folk tip, but if you really want to own dimples, you can try applying it. It is very simple and you do not have to spend a penny to apply it. All you need to do is determine the deepest point of your cheeks. Once you have done this, use two thumb tips to lightly press on these points. Keep this movement even when you move your mouth. You can also use the index finger or pencil to press on these points if you feel this is more convenient. Do this for at least 30 minutes a day. Besides, whenever possible, you should also take the time to apply this tip to be able to quickly get the results you want. Note: When applying this tip, you need to cut your nails to avoid damaging the skin. If using a pencil, use a pencil tip that has an eraser to do this. This remedy is one of lesser-known tips on how to get dimples fast. Similar to the above, but you can slowly relax the face muscles just like you are smiling, keeping the index finger in the deepest points of the cheeks. You need to open and stretch the mouth, because the natural dimples often appear when people smile with wide smile to the corner of the mouth. Now, the two fingertips must be placed at two points near the two corners of the mouth, as this is the location of the natural dimples. Use your fingertips or pencil tip to push the points where you want the dimples. You should look at the mirror. If your fingertips appear to be slightly distorted from the position you desire, you can correct them. For temporary dimples, let go of your hand quickly. Take pictures if you like. Note that these dimples will disappear as soon as you relax your mouth muscles. To keep the cheekbones forming longer dimples, you need to continue pressing the dents for at least 30 minutes. The longer you press the “artificial dimples”, the more chances you make it to appear. In the past, mechanical devices created dimples by placing continuous pressure on the points on the surface. These devices have not been tested by experts, but many people claim that they are surprisingly effective. This exercise simulates the operation of these devices. If you do not want to spend too much money to get dimples, you need to make these simple tips on a regular basis. Continue this tip for at least 30 minutes a day for several weeks in a row. If you do not make a dimple for 2 months, you may have to skip this tip. 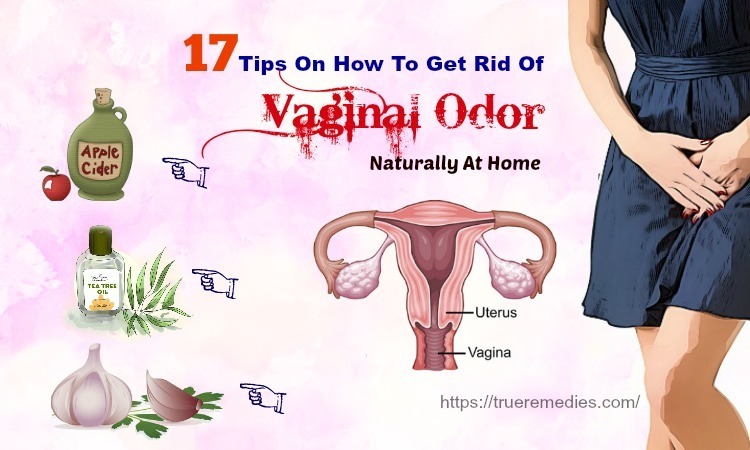 This method is not supported by scientific evidence, but just folk rumors, so if you do not succeed then this tip probably does not work for you. However, many people get the results they desire after a long period of exercising their cheeks and facial muscles. You can do the same. 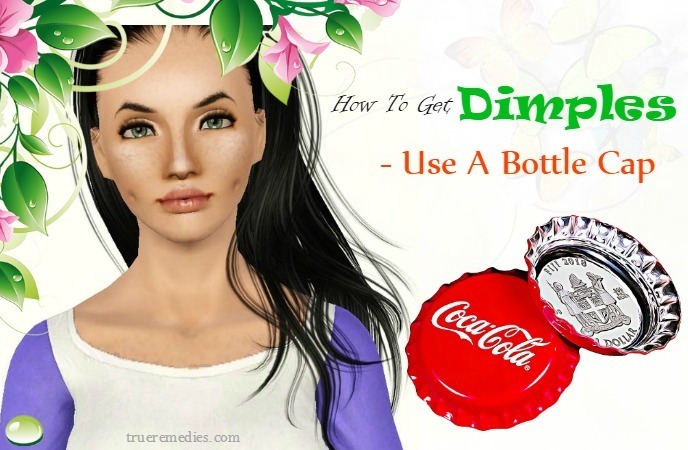 The next treatment in this list of tips on how to get dimples fast is using a bottle cap. You can use a metal or plastic bottle cap, but you need to clean it thoroughly before using it. Metal caps are often shallow and they tend to produce more delicate and natural dimples. However, the ridges can make you feel painful, especially if you have thin and sensitive skin. Plastic bottle caps usually come in a variety of sizes, so you will have many choices. If you really want to exaggerate dimples, you should use soda bottle caps because this type of bottle cap is the deepest. However, to get the natural dimple, you should choose the shallow bottle cap rather than the too deep bottle cap. You can also wash the bottle cap with soap and water to ensure that it is thoroughly cleaned. However, you need to make sure that you completely remove the soap before placing the bottle cap in the mouth. Make sure the opening of the bottle cap is pointing towards your cheek rather than towards the teeth. This can make you have a little trouble, but you will do it right away. If you really cannot find the right place to place the bottle, you can look in the mirror and smile. Next, look for points near the two corners of the mouth, as this is the location of the natural dimples. Once you’ve identified these points, you can easily find the right place for the cap. When performing this tip, you need to be careful not to injure yourself, and do not expose your cheeks to inhalation and choking on the bottle cap, especially if you use a too small bottle cap. Note that each time you apply this tip, you can only create one dimple. However, bottle caps only make temporary dimples. If you create two dimples at the same time by applying this tip, this can overwhelm your face. 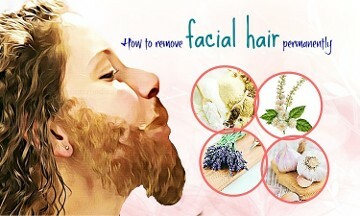 Alternatively, you can also place the bottle cap on your cheeks. Besides using the bottle cap as the instructions above, you can also place the bottle cap on your cheeks. This is less likely to cause irritation and discomfort. This tip makes temporary fake dimples. However, it will not work if you are in front of another person. If you just want to create dimples to take pictures then this tip is very useful. Take pictures from different angles to find the best angle that clearly shows your dimples. One of the most commonly used gestures is to smile and point the dimples towards the camera. This may be the fastest way on how to get dimples naturally without surgery. Have you ever noticed that when you smile very wide, you get dimple-liked things? Make it your regular feature by smiling widely daily. Just stand in front of a mirror, smile as wide as possible. See the dimple-liked point in your cheeks and you may find it rather unnatural at first, yet steadily you will understand how widely you should smile to make the muscles at your mouth corners to stretch and create a dimple. This is a simple tip on how to get dimples. 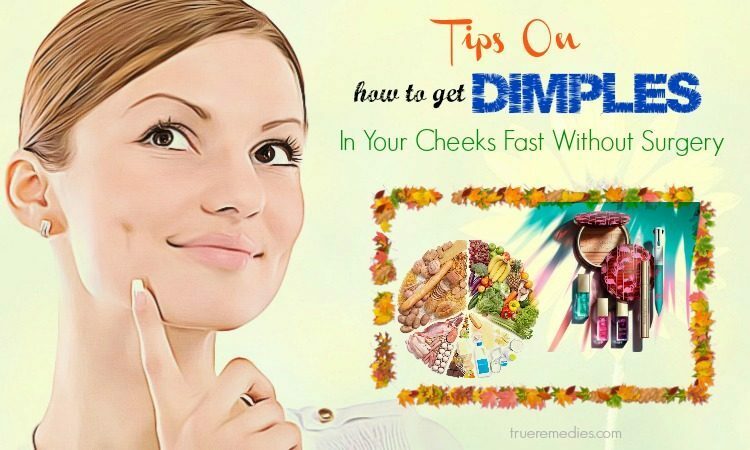 The next one in this list of tips on how to get dimples in your cheeks fast is making up. Yes, you can also make makeup to create your own fake dimples. However, this method should only be applied if you want a nice photo. This dimple may look unnatural when outside. Look at the mirror and smile to widely open the corner of the mouth. Determine the position of the dimples. When smiling, wrinkles will form around the mouth. Your dimples should be outside of these wrinkles, starting at the top of the upper lip. Make a big laugh naturally. The dimples will appear with a bright smile, so when you are going to draw the dimples, you can determine the right point if you smile brightly instead of laughing awkwardly. Do not be shy! Highlight the highest point of imaginary dimples. The dimples are usually short or crescent shaped. Use a dark brown eyeliner or eyebrow pencil to dot a point on the top of the imaginary dimples you want to draw. Dark brown is most effective because it can be applied to the skin naturally. You should not use black eyeliner or other colors. Draw a crescent moon on the cheek. When you have marked the highest points, relax your muscles. Starting from the marked point, draw a slightly curved line. Use the pencil that you used in the previous step to draw the dimples. The drawing should not be longer than 2.5 cm under the dots (only slightly curved, not curved like the curve of the nail). Rub or redraw the drawing if necessary. When you have finished draw the dimples, you need to adjust a bit so that the final result looks more delicate and natural. You can use your fingers or make-up brush to rub the drawing so it fits into the skin, using the up and down movement is better. One draw may not produce the dark color you want, so you need to do it several times. Smile to check the results. Look at the mirror and watch the new dimples – Are they balanced? Are they too dark? Or are they not dark enough? Does your dimple look natural in some kind of light? If your new dimples look unnatural, rinse and redraw. No wonder, this is definitely one that should be mentioned in this list of tips on how to get dimples fast. 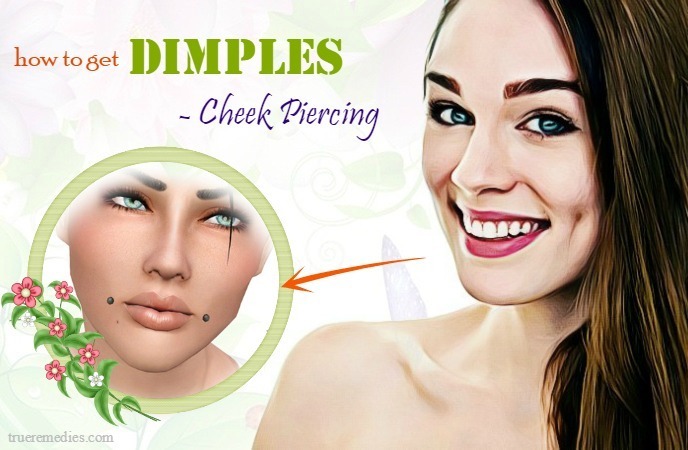 You can also create dimples by piercing for your cheeks.This requires a lot of meticulous care. Go to professional piercing centers. Just like piercing anywhere on the body, piercing the dimples is also risky if not hygienic. So do not try cheek piercing yourself at home. Please go to professional and reputable ear piercing centers where the employees are trained and have the proper tools to minimize the risk of infection or complications. Professional center often refuse to pierce for people under the age of 18, even with the consent of the guardian. However, this depends on the region and country. Wash thoroughly. If you come to a good and reputable piercing center , they will carefully wash your cheeks before doing. Skin on the outside of the cheek should be washed with sterilized soap, alcohol or other methods of sterilization to eliminate microorganisms that may cause complications when piercing. 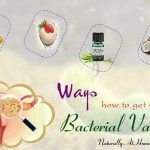 You will also be asked to rinse your mouth with bactericidal mouthwash to minimize the risk of infection caused by harmful bacteria located in the mouth. Disinfect the tools. Make sure you are using disposable needles and all the tools are disinfected. Piercing needles need to be heated, then thoroughly sterilized. Employees’ hands must be thoroughly cleaned with sterilized soap. They should wear disposable gloves.As soon as the sterilization steps are completed, the employee will perform cheek piercing. Properly care after piercing the cheek. Piercings need to be properly cared for to reduce the risk of infection or complications. The employee will advise you about the proper care. Wash the cheek piercing with diluted salulite solution daily (mix 5ml of salt with 250ml of water). Then, dip a cotton swab into salulite solution and gently apply it to your cheek piercing. Wear cheek piercing for 1 to 3 months. This is the minimum time for the piercing to heal.When the cheek piercing is removed, the skin will begin to heal quickly. During the healing process, your cheeks will have two small holes. However, after healing, you will have two dents like two dimples on the cheek. Note: Professionals do not encourage cheek piercingat all ages.While ear and nose piercing only pierce through the skin and cartilage, cheek piercing needs to pierce though the muscles. Hence, the risk of nerve damage and the occurrence of complications will be higher. Besides, piercing tips will appear almost permanently!Regardless of the expression on your face, they will still appear on your cheek. If you had dimples and they now disappear. This could be because of overweight or underweight. Have a healthy diet to gain or lose weight. You ought to drink at least 8 glasses of water every day to eliminate toxins from your own body. Avoid eating processed or junk foods and limit your sugar intake. A healthy diet had better include vegetables, lean meats, fruits and plant proteins. Whole nuts and grains can give you enough energy to function properly. Doing cosmetic surgery is the next remedy in this list of tips on how to get dimples fast. If you want to quickly own dimples and if you do not worry about the cost of expensive, you can go to the plastic surgery center to quickly achieve your desires. With special techniques, cosmetic surgeons will quickly give you dimples for a short period of time. Normally, after only 20 to 30 minutes, you can already own the dimples. After that, you also need to take some special care steps to avoid infection. The dimples may look very graceful, but you should be yourself. For making dimples by piercing or cosmetic surgery, you need to think carefully before applying because they will create permanent dimples on your cheeks. These tip can also cause some unwanted consequences. Therefore, only apply one of them if you are completely ready for the consequences which may occur. There you go. The above are tips to help you get the dimple that you always wanted. There are plentiful methods of how to get dimples fast ranging from expensive dimpleplasty, dimple piercings to catchy dimple makeup but many people have succeeded by applying one of these tips. Therefore, do not hesitate to choose some of them and alternate them to see how effective they are. To be honest, the only means to achieve permanent dimples is going in for professional surgery or dimple piercings. These options require expert supervision. If you have natural dimples, it is your fortune and you can flaunt it with a nice big smile. For any contributing ideas about our article of “Top 10 Tips On How To Get Dimples In Your Cheeks Fast Without Surgery” introduced in How To Category, feel free to drop your words below this post. We will answer as soon as we could.